Datuk Professor Sundra Rajoo is the Managing Director of Sundra Rajoo Arbitration Chambers, former Director of the Asian International Arbitration Centre (AIAC) and 2016 President of the Chartered Institute of Arbitrators (CIArb). His roll of honour includes being Founding President of the Society of Construction Law, Malaysia and the Past President of the Asia Pacific Regional Arbitration Grouping (APRAG), which is a federation of nearly 40 arbitral institutions in the Asia Pacific region. Datuk Professor Sundra Rajoo is a Chartered Arbitrator and an Advocate & Solicitor of the High Court of Malaya (non-practising). He is a Professional Architect, Registered Town Planner and a Fellow of the Royal Institution of Chartered Surveyors. He has had numerous appointments as chairman, co-arbitrator of three-man panels and sole arbitrator in international and domestic arbitrations. He serves on the panel of numerous international arbitral institutions and organisations. He is a visiting professor at the Faculty of Built Environment, University of Technology Malaysia and a visiting professor and external examiner at the Faculty of Law, National University of Malaysia. He is a member in the Monetary Penalty Review Committee set up under the Malaysian Financial Services Act 2013. 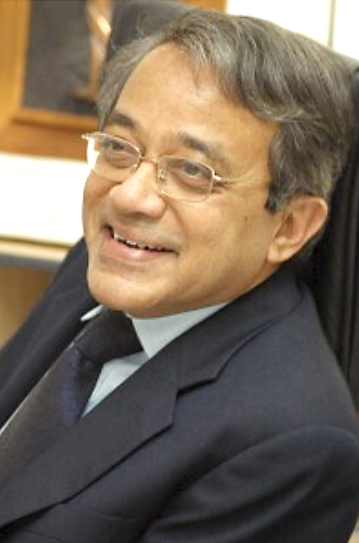 Datuk Professor Sundra Rajoo has authored several books on arbitration and contract law, including, “Law, Practice and Procedure of Arbitration” (2003); “The Malaysian Standard Form of Building Contract (The PAM 1998 Form)” (1999); the Arbitration title for Halsbury’s Laws of Malaysia (2002); “The Malaysian Arbitration Act 2005 (Amended 2011) – An Annotation” (2013); and “Law, Practice and Procedure of Arbitration 2nd Edition” (2016). He was also the co-author of “Arbitration Act 2005 – UNCITRAL Model Law as Applied in Malaysia” (2007), “The PAM 2006 Form” (2010), “Construction Law in Malaysia” (2012) and “Arbitration in Malaysia: A Practical Guide” (2016). In July 2015, Datuk Professor Sundra Rajoo was conferred an Honorary Doctorate in Laws from the Leeds Beckett University in England. Ms. Karen Gough is a barrister in practice at 39 Essex Chambers in London. She is also an Attorney-at-Law with full rights of audience in the Courts of Jamaica and Trinidad and Tobago. She is a past president of the Chartered Institute of Arbitrators, a Chartered Arbitrator, and a member of a number of arbitral institution panels, and an accredited adjudicator. She is an acknowledged expert on the resolution of disputes arising under the FIDIC forms of contract. Karen specialises in complex major construction and engineering disputes, and general commercial litigation, with a strong emphasis on international commercial arbitration and ADR. 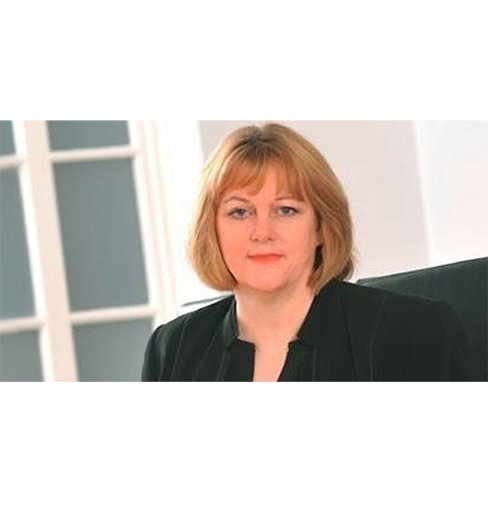 She practises globally as counsel, arbitrator, adjudicator and ADR neutral and in the UK has appeared before the courts at all levels, including the Privy Council. In her construction practice, she represents a wide range of clients including governments, government agencies, local authorities, educational institutions, contractors, sub-contractors, and major commercial organisations. Her construction practice includes disputes concerning private domestic and commercial industrial and retail developments, major public works and infrastructure projects including water, sewage and power plants, nuclear facilities, hospitals, prisons, schools, roads, rail, and sea defences. Mr. Daniel is the principal of the law firm Messrs Daniel Tan Chun Hao. He holds dual qualifications in both civil engineering and law, and is a practising lawyer. He was admitted to the Malaysian Bar in 1993. Daniel has over 20 years experience in the provision of contractual advice to local and international contractors and owners in the engineering and construction industries. He has been principally involved in arbitrations / dispute resolution, contract management and advisory services on a wide spectrum of projects. He acts as advocate in arbitrations and sits as arbitrator and adjudicator. He is a Fellow of the Chartered Institute of Arbitrators, panel arbitrator, adjudicator and accredited mediator with the Regional Centre for Arbitration Kuala Lumpur, and accredited mediator with the Construction Industry Development Board, Malaysia. Mr. Ramdas Tikamdas is an Advocate & Solicitor and has been in practice for 33 years with experience in various areas of the law including civil and commercial disputes, construction, banking, labour disputes and administrative law. He is a Fellow of the Chartered Institute of Arbitrators, a certified Adjudicator with AIAC, and a qualified Mediator with the Nationwide Mediation Academy, UK/USA. He is a member of the AIAC Certificate in Adjudication Faculty and Examination Board and Expert Advisory Committee for AIAC’s Standard Form of Building Contracts. He has been involved in the civil society movement in human rights and consumerism for many years. He is the Past President of the National Human Rights Society (HAKAM) and has held office in various civil society organizations including Pahang Consumers Association, Selangor Consumers Association and Federation of Malaysia Consumers Association (FOMCA). He has also been a Guest Lecturer for Police Training for Masters Programme in Social Science (University Kebangsaan Malaysia); and has attended various international and domestic conferences as speaker on various issues relating to law, consumerism and human rights. He is also co-editor of the books “Human Rights and the National Commission” (1999), “Freedom of Expression in the Arts” (2003) and a co-contributor of “Arbitration in Malaysia – A Practical Guide” (2016). 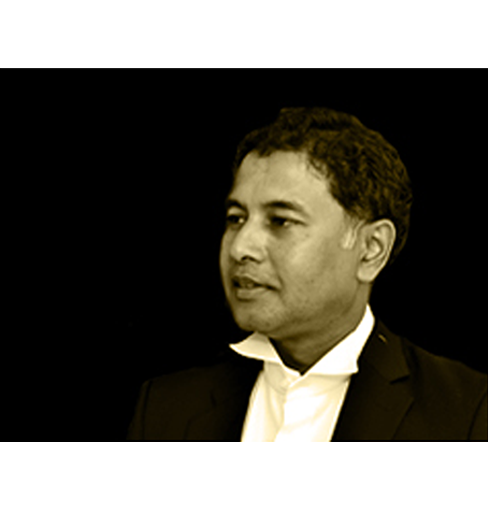 Mr. Thayananthan Baskaran is an advocate & solicitor of the High Court of Malaya and an associate member of Crown Office Chambers, London. Thaya drafts various building and engineering contracts, advises on disputes arising from such contracts, and appears as Counsel in adjudication, arbitration and mediation to resolve these disputes. Thaya also sits as an adjudicator, arbitrator and mediator. Thaya was appointed as an adjudicator in the fifteenth statutory adjudication in Malaysia and now regularly sits as an adjudicator. Thaya has been appointed as an arbitrator in a variety of commercial disputes, including disputes arising from development and joint venture agreements. Thaya also sits as a mediator in Kuala Lumpur and Singapore. Thaya is on the panel of the Dispute Board Federation Geneva, the Indonesian National Board of Arbitration, the Hong Kong International Arbitration Centre, the Kuala Lumpur Regional Centre for Arbitration, the London Court of International Arbitration, The Mediation Centre Dubai, and the Singapore International Arbitration Centre. Thaya is the author of several publications on dispute resolution, including International Arbitration in Malaysia to be published by Kluwer Law International in 2017. Thaya is an editor of the Construction Law Digest and Construction Law International. Thaya lectures at the Chartered Institute of Arbitrators, London, on arbitration. Thaya was educated at St John’s Institution, Kuala Lumpur, read law at King’s College, London, and was called to the Bar by Gray’s Inn. Thaya is a Fellow of the Chartered Institute of Arbitrators, the Dispute Board Federation Geneva, the Hong Kong Institute of Arbitrators, the Malaysian Institute of Arbitrators, the Malaysian Society of Adjudicators and the Singapore Institute of Arbitrators. Thaya is an Incorporate of the Chartered Institute of Building, a AIAC Certified Adjudicator, an International Accredited Professional Mediator of the Mainland-Hong Kong Joint Mediation Centre, a SIMI Accredited Mediator Level 1, Singapore International Mediation Institute and an SMC Associate Mediator, Singapore Mediation Centre. 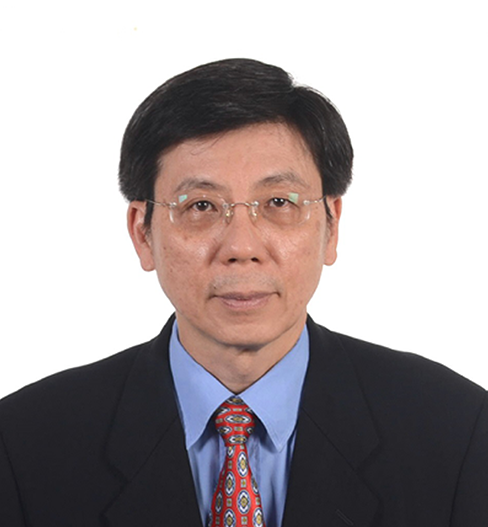 Dr Chan Yuan Eng is a senior academician and chartered professional with a multi-disciplinary career spanning over 38 years. He is an Assistant Professor at the Department of Surveying, Lee Kong Chian Faculty of Engineering and Science, Universiti Tunku Abdul Rahman, Malaysia. He is a member of the Project Management Institute (USA), the Association of Construction Project Managers (Malaysia), the American Association for the Advancement of Cost Engineering (USA), the Association of Cost Engineers (UK), the Society of Environmental Engineers (UK), the Society of Construction Law (UK and Malaysia), the Malaysian Society of Adjudicators, the Malaysian Institute of Arbitrators and an Associate of the Chartered Institute of Arbitrators (UK). He is a Chartered Quantity Surveyor, a Fellow of the Royal Institution of Chartered Surveyors (UK), the Chartered Institution of Civil Engineering Surveyors (UK), the Chartered Association of Building Engineers (UK) and the Institute of Construction Management (UK). He is a member of the Royal Institution of Chartered Surveyors (RICS Malaysia) Board, a RICS Accreditation Panellist and RICS APC Assessor. He is accredited as a Certified Construction Project Manager (CCPM) by the Construction Industry Development Board of Malaysia (CIDB) and as a Certified International Project Manager (CIPM) by the Board of Standards and the Faculty of Graduate Division of the American Academy of Project Management (AAPM). He is also an Honorary Advisor of the AAPM Global Advisory Board and Council, a Fellow of the American Academy of Project Management (AAPM) and a Fellow of the Association for Project Management (APM) UK. CLP (Malaya), DipICArb, P.E., C.Eng., C.Arb. Mr. Harbans Singh K.S. is a Professional & Chartered Engineer, Chartered Arbitrator, Mediator, Adjudicator, Advocate and Solicitor (non-practising). He commenced his career with the PWD/JKR, Malaysia before joining an international German consultancy practice with whom he worked locally and then in Koblenz as a designer, resident engineer and contract administrator. Later, Harbans served with a local consultancy firm in various professional capacities and presently is heading HSKS Dispute Resolution Chambers. He is a regular contributor to “The Ingenieur”, “The Malayan Law Journal”, “The Law Review” and other publications and is the recipient of a number of awards including IEM’s Tan Sri Hj. Yusoff Prize for an outstanding technical paper (2001), the Cedric Barclay Award and the Chartered Institute of Arbitrator’s Award for the Diploma in International Commercial Arbitration examination (2003). Harbans is also the author of a series of four books entitled ‘Harbans’ Engineering and Construction Contracts Management’, co-author of “Construction Law in Malaysia” & “The PAM Contract 2006”,contributor to ‘The Malaysian Standard Precedents and Forms (Vol.N)’ and is a regular speaker at courses/seminars and conferences. 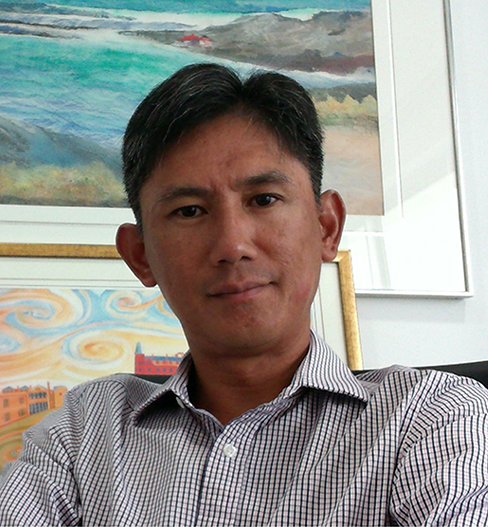 Mr. Kevin has an active practice in dispute resolution and has been involved in complex disputes in various forms since being called to the Malaysian Bar in 1998. He is regularly engaged in trial and appellate advocacy at the High Court or the superior Courts in Malaysia and as counsel in arbitration. He has wide experience in diverse types of disputes including corporate and commercial disputes, contractual, civil and shipping disputes. His principal practice is in engineering and construction disputes and has represented a diverse set of clients including employers, main contractors and subcontractors in court litigation and arbitration. 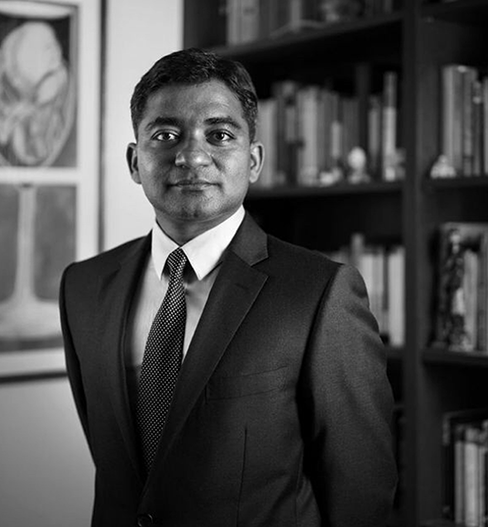 Mr. Kuhendran Thanapalasingam is a senior partner in ZUL RAFIQUE & partners and holds a Bachelor of Laws (Hons) degree from the University of Leicester, United Kingdom. He is a Solicitor of the Supreme Court of England & Wales and was admitted as an Advocate & Solicitor of the High Court of Malaya in 1992. He is also a Fellow of the Chartered Institute of Arbitrators. Kuhendran is principally involved in dispute resolution, particularly in construction and engineering related disputes. Apart from his experience in dispute resolution, he has also advised on different aspects of construction and engineering law. In addition, he has drafted and vetted various construction and engineering related contracts. Ar. Thurai Das Thuraisingham obtained an honours degree in architecture from the University of Auckland. He has been a professional architect for the past thirty five years and is the Managing Director of Das Azman Architects Sdn Bhd, an architectural practice established in 1992. The architectural work undertaken includes commercial, institutional, residential and industrial building projects. The work scope for the architectural commissions encompass design, documentation and contract administration. He also holds an honours degree in law from the University of London and a Diploma in International Commercial Arbitration. 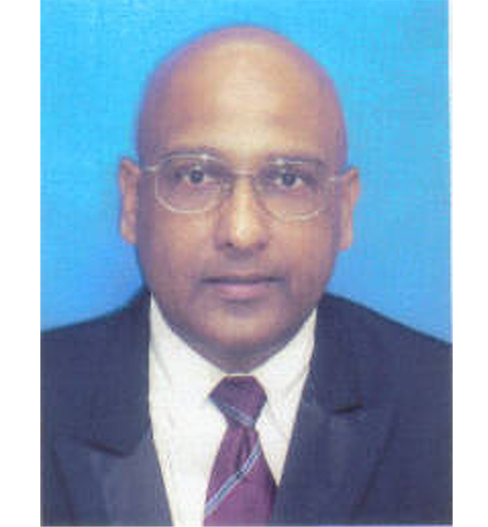 He is a Fellow of The Chartered Institute of Arbitrators, United Kingdom, a Fellow of the Malaysian Society of Adjudicators, a panel member of arbitrators in the Kuala Lumpur Regional Centre For Arbitration, the Malaysian Institute of Architects and the Board of Architects Malaysia, and is actively engaged as an arbitrator and adjudicator. Mr. Wilfred Abraham was called by the Honourable Society of the Middle Temple as a Barrister at Law on November 1974 and was admitted as an Advocate & Solicitor of the High Court of Malaya on June 1975. Wilfred started practice with Messrs Shearn Delamore & Co and was made a partner in 1981. He practiced in the Litigation Department and set up the Construction and Arbitration Division of Shearn. 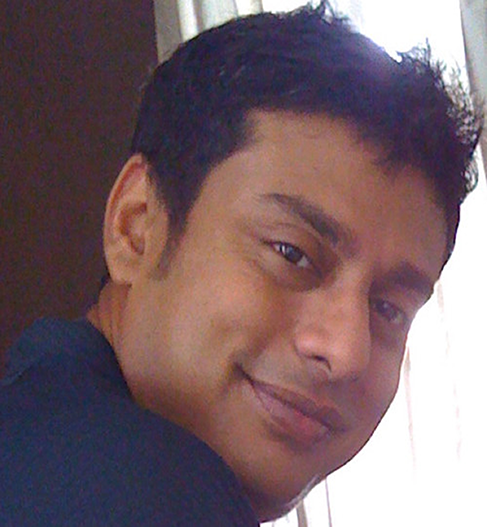 He left Shearn in December 2000 and joined Zul Rafique & Partners as of 1st January 2001. Wilfred’s litigation practise as an advocate (barrister) is in areas of commercial law and construction law. As for Arbitration experience, he appears frequently as Counsel in commercial arbitrations and he also in construction arbitration. 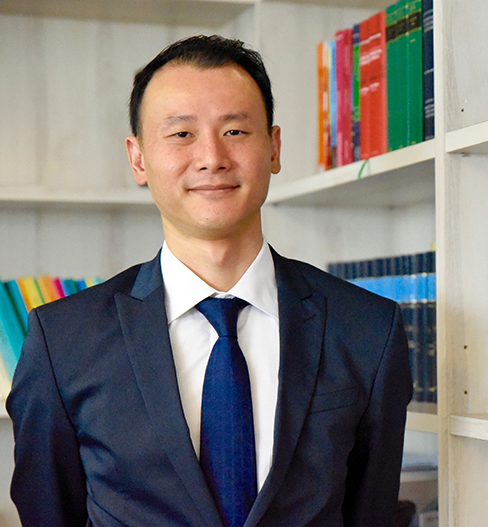 Wilfred has been nominated as arbitrator in domestic and international disputes relating to insurance, construction and commercial law. Wilfred has appeared as a Senior Counsel in an arbitration matter regarding building contracts and also in matters involving the contractor’s rights and obligations on contracts for procurement and fabrication of jackets and EPC of 2 platforms. AIAC has also appointed Wilfred as a sole arbitrator covering a construction dispute in the Maldives. 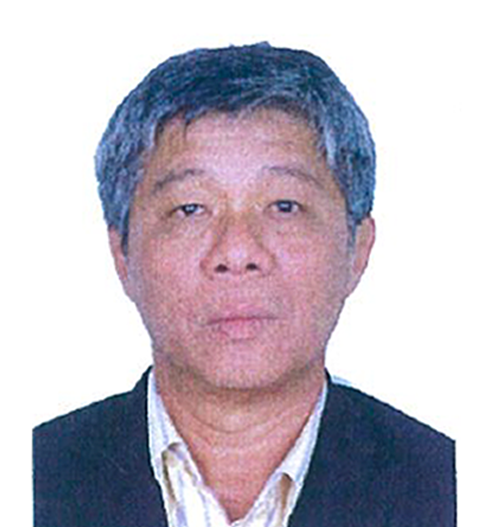 Wilfred is a member and Past President of the Malaysian Society of Adjudicators. He is also a Member and Past President of the Society of Construction Law, Malaysia. Mr. Choon Hon Leng was admitted as an advocate and solicitor of the High Court of Malaya in 2003 and has been a partner of the firm Messrs. Raja, Darryl & Loh since July 2009. Construction practice forms a significant part of his portfolio since he was called to the Bar. 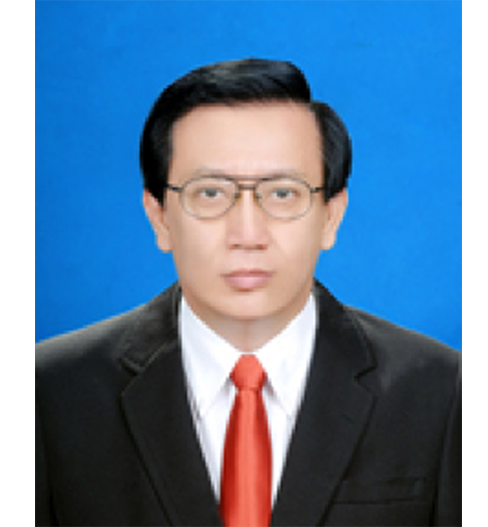 He is a Fellow of the Chartered Institute of Arbitrators and a Fellow of the Malaysian Institute of Arbitrators. He is also a member on the Kuala Lumpur Regional Centre for Arbitration (AIAC) Panel of Arbitrators and Panel of Adjudicators. He has acted as lead counsel in many arbitrations and litigations involving engineering and construction, commercial transactions and information technology matters. He has advised and litigated on various forms of standard form or bespoke construction contracts. Over the years, he has advised various players in the construction and the related industry, including employers, contractors and consultants in projects of various sizes and types, at various stages from project planning, pre-contract negotiations, contract documentation, project implementation and management, dispute resolution and enforcements. Mr. Ivan Y. F. Loo graduated from the University of Bristol, United Kingdom and thereafter called to the Bar of England and Wales (Gray’s Inn). In 1992, he was admitted as an Advocate & Solicitor of the High Court of Malaya. 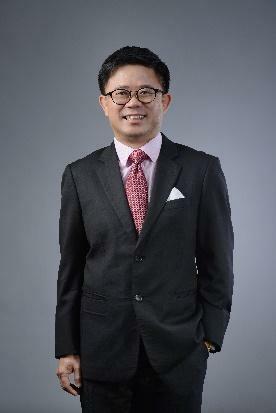 He is a Partner in the Malaysian law firm of Skrine where he heads the Construction and Engineering Practice Group. 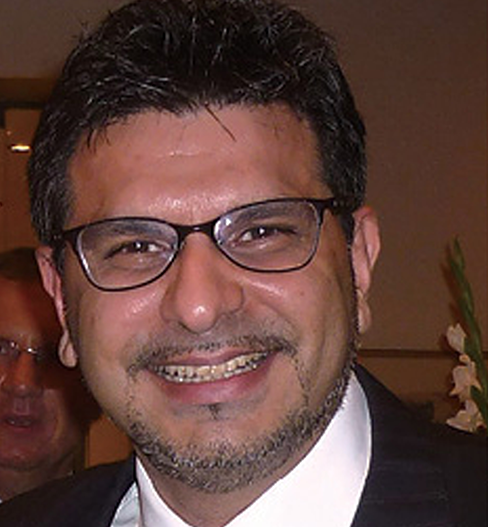 A significant portion of his past and present work involves the construction industry where he appears primarily as lead counsel in litigation, arbitration and adjudication proceedings on construction related disputes. Ivan also sits as arbitrator in both international and domestic arbitrations conducted under various rules of arbitration including AIAC, SIAC, ICC, and UNCITRAL. He also sits as adjudicator under the Construction Industry Payment & Adjudication Act 2012 and as mediator with the Malaysian Mediation Centre He is the current President of the Malaysian Society of Adjudicators, past President of the Society of Construction Law (Malaysia), a Fellow of the Chartered Institute of Arbitrators (UK) and a committee member of the Arbitration and Alternative Dispute Resolution Committee of the Bar Council, Malaysia. 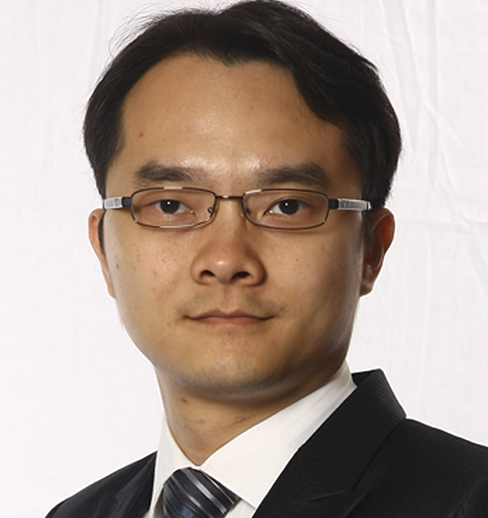 He is co-author of “Construction Adjudication in Malaysia” published by CCH Asia Pte Limited. Mr. Rodney Colin Gomez has been a Partner since 2001 in the Infrastructure and Projects (where he is the Head), and the Dispute Resolution Practices. He provides legal counsel across a wide range of matters including planning, development as well as the management of public-private partnerships, private finance initiatives and other related issues that arise in the area of infrastructure and construction related projects. He is also actively involved as counsel in arbitration, adjudication, conciliation, mediation and litigation matters involving construction contracts, consultancy agreements, engineering contracts, infrastructure projects, procurement contracts and project management and implementation. Rodney graduated from England with an LL.B (Hons). He was first admitted to the Bar in 1989 at Middle Temple (London) as a Barrister-at-Law, and subsequently to the Malaysian Bar in 1990 as an Advocate & Solicitor. He is a member of the International Bar Association (IBA), the ASEAN Law Association of Malaysia and the Society of Construction Law (Malaysia). Rodney is also on the Panel of Arbitrators and Panel of Adjudicators at the Kuala Lumpur Regional Centre for Arbitration (AIAC) He is a Fellow of the Chartered Institute of Arbitrators (FCIArb) and the Malaysian Institute of Arbitrators (FMIArb) as well as the Malaysian Society of Adjudicators (FMSAdj). Rodney is fluent in English and Bahasa Malaysia. Mr. Belden Premaraj’s practice involves the specialised areas of construction & engineering, oil & gas, energy & utility, and general insurance. He continually engages with key domestic and foreign entities in the related industries for the development of risk management and dispute resolution strategies. Belden has also built a strong reputation as counsel for international and domestic arbitrations in his practice industries. His understanding of these industries helps him and the team at M/s Belden to focus on the relevant documents and evidence for the dispute at hand. He also leads a strong team of arbitration support personnel that can handle varied disputes and large-scale documentary evidence so as to allow the client to continue to focus on its business whilst the team at M/s Belden focuses on the dispute handling processes and requirements. 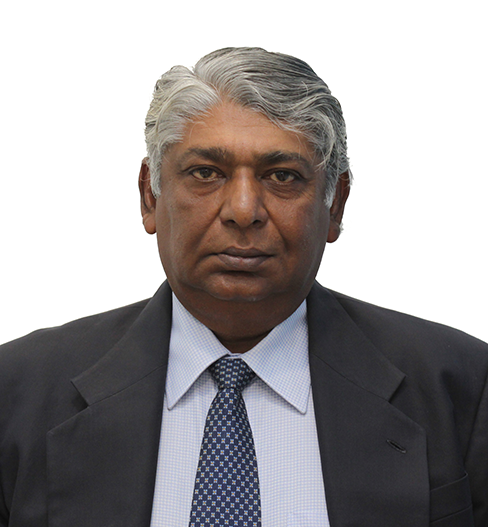 Mr. Rajendra Navaratnam obtained his first degree in Electrical Engineering and started his career as an Electrical Engineer in the Power industry for about 10 years before he retrained in law and started his legal career with Azman Davidson & Co in 1988. 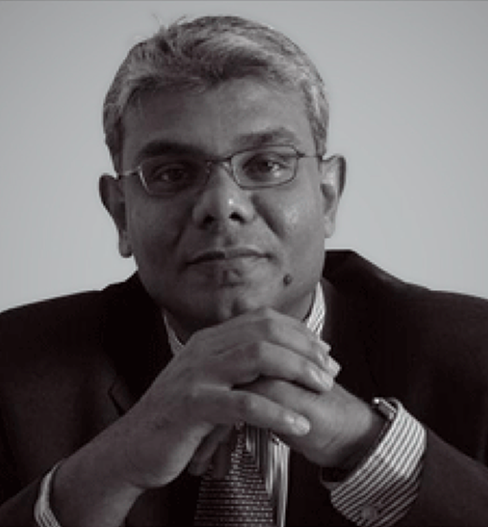 He became a Partner of Azman Davidson & Co in 1993, where he practises at present. Rajendra practices primarily in technology related law, in particular in the fields of construction law, insurance and intellectual property in both litigation and arbitration, acting as counsel in litigation and arbitration as well as in an advisory role. He is also a Registered Patent Agent. He appears as counsel in the Malaysian courts, including the Court of Appeal and the apex Federal Court. 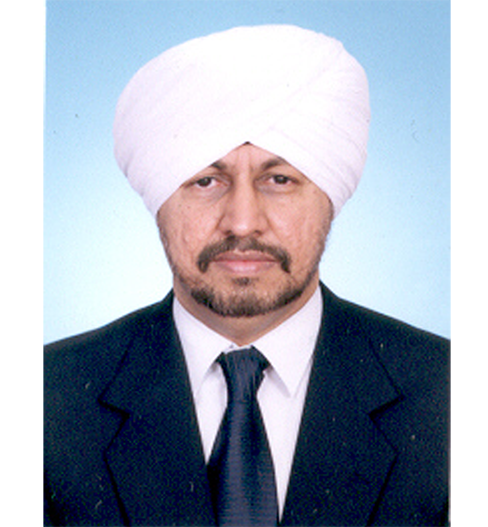 He also sits as Arbitrator in construction and trade disputes in both international and domestic arbitrations, and is on the panel of international arbitral institutions such as the Kuala Lumpur Regional Centre for Arbitration (AIAC), International Chamber of Commerce (ICC), Hong Kong International Arbitration Centre (HKIAC), Singapore International Arbitration Centre (SIAC), Vietnam International Arbitration Centre (VIAC) and Pacific International Arbitration Centre (PIAC). He is also on the panel of arbitrators of the Institution of Engineers, Malaysia has in the past been on the panel of arbitrators of the Palm Oil Refiners Association of Malaysia (PORAM) during the period it was open to non-trade arbitrators. He is a Fellow and Chartered Arbitrator of the United Kingdom – based Chartered Institute of Arbitrators, (CIArb) and is a Fellow of the Malaysian Institute of Arbitrators. 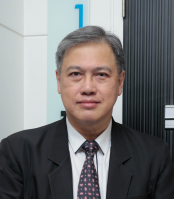 He is a past chairman of the CIArb Malaysia Branch, is a member of the Construction Law Committee of the Bar Council, member of the Contracts and Practices Committee, Master Builders Association of Malaysia (MBAM) and a past Council Member of the Society of Construction Law Malaysia. He is on the approved Faculty List of the CIArb for various courses up to Accelerated Route to Fellowship and in various capacities up to Course Director, and sits on the Arbitration sub-committee of the Legal Affairs Committee, ICC Malaysia. 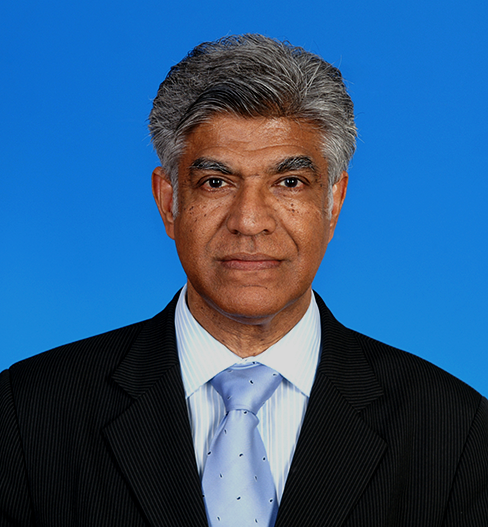 Rajendra has also authored chapters on arbitration and construction law in Malaysia in practitioner’s textbooks, in particular “Arbitration in Malaysia: A Practical Guide (Thomson Reuters, Sweet and Maxwell) 2016” and “Construction Law and Practice (European Lawyer Reference) – Jurisdictional Comparisons (2nd Ed) 2016” respectively. Mr. 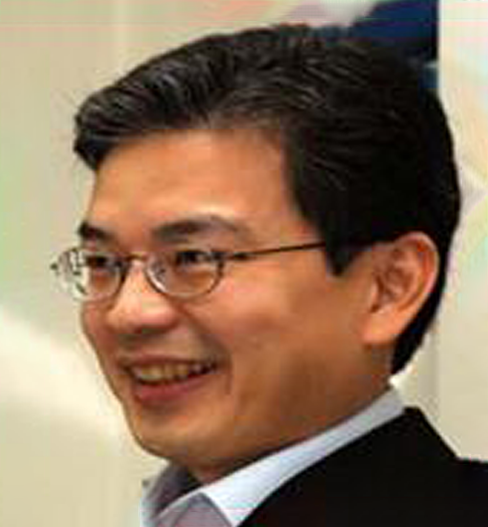 Saw Soon Kooi is a Registered Quantity Surveyor and graduated with a Bachelor of Science with an honors degree from University of Singapore in 1975. 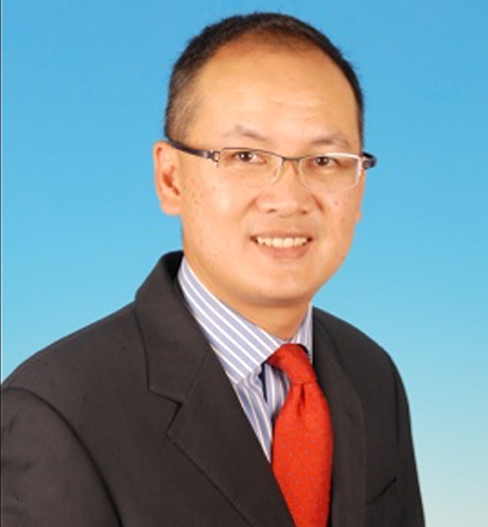 He is currently a practicing Chartered Quantity Surveyor and is the founder and Senior Partner of Kuantibina Sdn. Bhd which was established in 1981. The firm rendered a wide spectrum of Quantity Surveying, Construction Cost Advice and construction related matters in Building and Civil Engineering projects. He is involved in Dispute Resolution and is listed on the AIAC Panel of Arbitrators, Mediators and Adjudicators. He has also appeared as an expert witness in several litigation and arbitration cases. 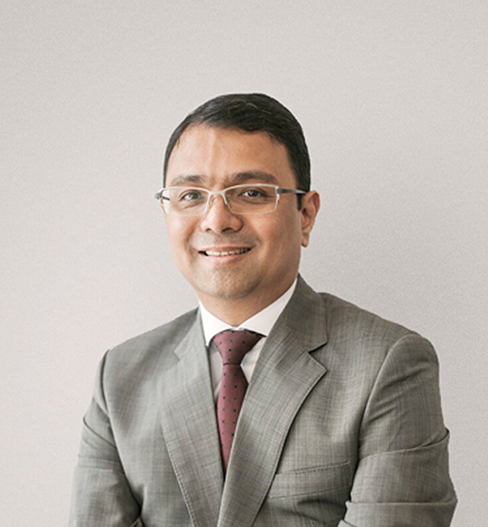 Mr. James is the principal partner of Messrs JamesMonteiro (Advocates & Solicitors) and is in his 20th year of practice as an Advocate & Solicitor of the High Court of Malaya. James specialises in the areas of construction, engineering, and energy, including contract advisory, project management advisory, risk management advisory and dispute avoidance and resolution. James has acted for a variety of clients in Malaysia, both foreign and local, ranging from multinationals, government linked companies/entities and public and private companies. James is an empanelled adjudicator with the Kuala Lumpur Regional Centre for Arbitration, founding member and past-pesident of the Society of Construction Law Malaysia, and a member of the Malaysian Institute of Arbitrators. Mr. Gana is focused on taking the firm international by building on his long-standing working relationship with large construction players in the region. He has experience spanning 24 years in dealing with dispute resolution and advisory services in construction, both locally and internationally. Apart from leading in arbitrations, he regularly appears as counsel in the High Court and Appellate levels in corporate resolution disputes. He is a panel arbitrator and Adjudicator with the AIAC and has previously served on the Adjudication Sub-Committee of the Bar Council. He was involved in introducing the upcoming CIPA Bill on adjudication, both with his clients as well as on behalf of AIAC. He is currently the President of the Malaysian Society of Adjudicators. Sr. Ong, holds a Bachelor of Law Degree from University of London, a First Class Honours Bachelor of Science degree in Building Economics and Quantity Surveying from the Heriot Watt University, Scotland, United Kingdom and a Diploma in Building Technology from the Tunku Abdul Rahman College. He is also a registered Quantity Surveyor with the Lembaga Juruukur Bahan Malaysia, Accredited Construction Industry Mediator with Construction Industry Development Board, Malaysia and a Certified Construction Project Manager by CIDB, Malaysia. He is currently a fellow member of the Chartered Institute of Building, United Kingdom, a member of the Malaysian Institute of Arbitrators, a member of the Chartered Institute of Arbitrators, UK, a member of the Malaysian Institute of Management, a member of the Royal Institution of Surveyors, Malaysia, a member of the Institute of Value Management. He started his career in the construction and property industry in 1983 and had been involved in mega construction and property development projects. He is currently the Managing Director of a Main Board Public Listed Company in Singapore and also a Director of a Main Board Public Listed Company in Malaysia. He is the current President of The Chartered Institute of Building, Malaysia. 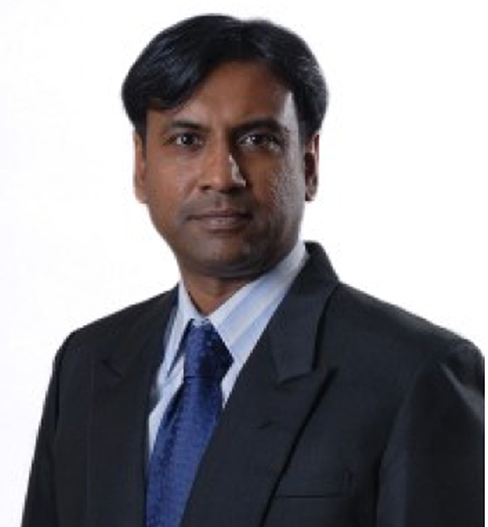 Mr. Ratnalingam Vijayaratnam is a Director of KPK Quantity Surveyors (Semenajung) Sdn Bhd a quantity surveying firm with offices throughout Malaysia and South East Asia. He joined the firm in 1987 after graduating from the University of New South Wales in Sydney Australia and progressed through the ranks. He is currently a director of the firm. He has undertaken several large projects in Malaysia and internationally, particularly in India, for which he served as a Director for KPK Quantity Surveyors India Pvt. Ltd. His interest in construction law resulted in him obtaining LLM in commercial law (construction law module) from the University of Northumbria in 2004. He then pursued a degree in law from the University Malaya obtaining a degree in Bachelor of Jurisprudence (Hons) in 2012. He obtained the Certificate of Legal Practise from the Legal Qualifying Board Malaysia in 2013. Currently, Mr. Ratnalingam Vijayaratnam is in charge of all contract-related matters for KPK Quantity Surveyors (Semenanjung) Sdn Bhd. 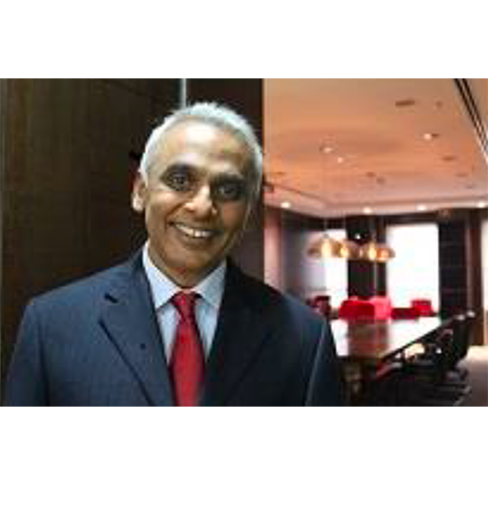 Mr. Isacc Sunder is the director of Pro Consort Pte Ltd. He has been practicing Alternative Dispute Resolution (ADR) for 20 years, or since 1998. His practice covers a broad range of property matters with a focus on mediation, conciliator, and disputes. He is a panel member for the Association for International Arbitrators. His published works include the “Malaysian Standard Method of Measurement For Civil Engineering Works” and the “A Guide To Malaysian Standard Method of Measurement For Civil Engineering Works.” Mr. Isacc Sunder is currently a member of several professional bodies including the Chartered Institute of Building, Chartered Builder (UK), Chartered Construction, Chartered Association of Building Engineers, the Royal Institution of Surveyors, the Malaysian Institute of Arbitrators, and the Association for International Arbitrators. He is also an International Ambassador of the Chartered Institute of Building (UK). 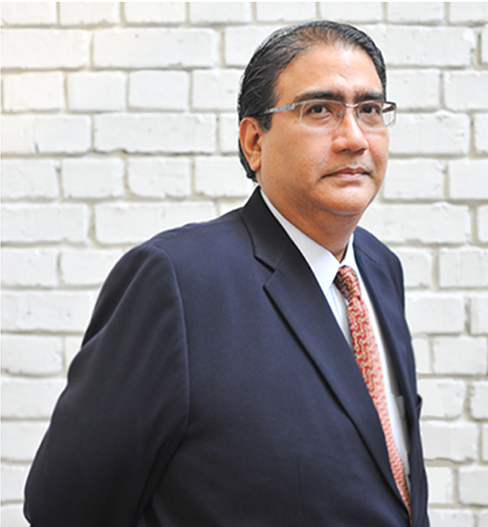 Dr. Ashok Kumar Mahadev Ranai has had wide experience in ADR after being called to the English Bar (Gray’s Inn) in 1995. He has conducted arbitration and litigation in building construction contracts relating, to claims for inter alia extensions of time, certificates, liquidated damages, loss and expense, variation works, “pay when paid clauses”, performance bonds and defective design. He has acted as Counsel for various multinational companies in a variety of construction and corporate and commercial disputes which include advising various companies specialized in civil building, oil and gas industry, refinery plant maintenance, telecommunication and health maintenance industries. He is the current Chairman of the Chartered Institute of Arbitrators, Malaysia Branch. He is also on the Regional Centre for Arbitration Kuala Lumpur’s panel of arbitrators and has been appointed a sole arbitrator. He has been at the forefront in developing the jurisprudence in the Malaysian Arbitration Law, and the Arbitration Act of 2005. He has also published several commentaries on recent case law by being directly involved in setting out its implications on the arbitral regime in Malaysia. 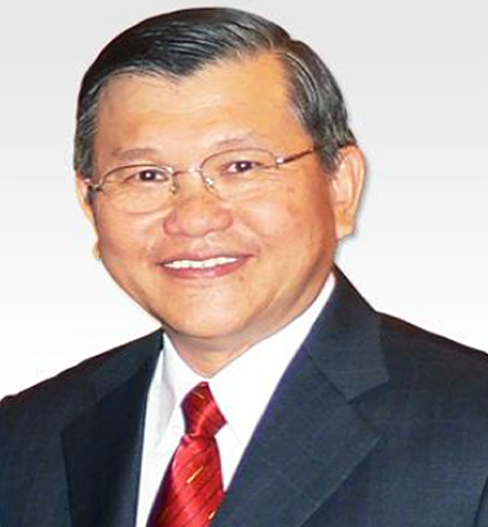 Dr. Ong See Lian has an illustrious career spanning over 40 years in both the public and private sectors. He is currently the Chairman of Benchrisda Associates Sdn. Bhd., a company devoted to dispute resolution and consultancy, and the Chairman of the Commission for Construction Economics and Management (Commission 10) of the International Federation of Surveyors (FIG). He was the 130th Global President of the Royal Institution of Chartered Surveyors, RICS and the first non-British citizen, Asian, and Malaysian to be elected as such in RICS 143 year history. 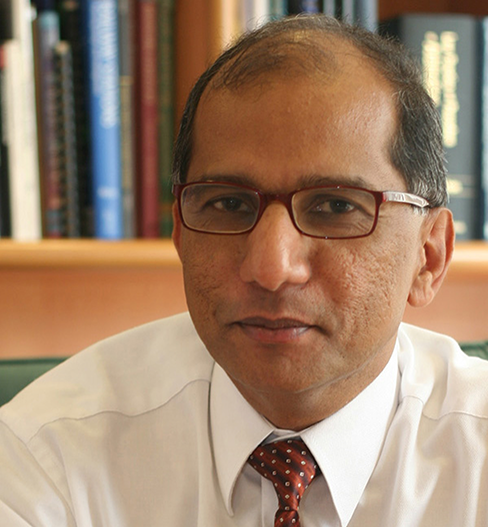 Prior to his appointment he had served for 5 years as the Chair of the Asian Board for RICS. See Lian is also the elected Chairman of the Standard Setting Committee (SSC) for International Construction Measurement Standard (ICMS), a collaborative initiative by more than 40 professional organisations across the globe and supported by the International Monetary Fund (IMF), World Bank and European Commission. Ms. Tan Swee Im is a Barrister-at-Law from the Middle Temple and an Advocate and Solicitor of the High Court of Malaya, a Fellow of the Chartered Institute of Arbitrators, the Malaysian Institute of Arbitrators, the Chartered Institute of Building, the Malaysian Society of Adjudicators, and the Dispute Board Federation. She is also an arbitrator, adjudicator and mediator on the panel of the Kuala Lumpur Regional Centre for Arbitration, a qualified adjudicator, a CIDB Accredited Mediator, and holds a Diploma in International Commercial Arbitration. She is a consultant at Tan Swee Im, Siva & Partners, a legal firm that focuses on the construction, infrastructure and energy sectors. She was in- house counsel for a public listed company and has extensive arbitration experience. She was a key member of the drafting team on the first independent power plants in Malaysia, the KL International Airport, the Malaysia-Singapore Second Crossing projects and many other major projects in Malaysia. Her international experience extends to Cambodia and Myanmar, when she participated in the negotiation of their international airport contracts and projects in the Middle East, South Africa and Papua New Guinea. Miss Tan is 1 of only 5 lawyers in Malaysia named in Who’s Who Legal for practice area of Construction. 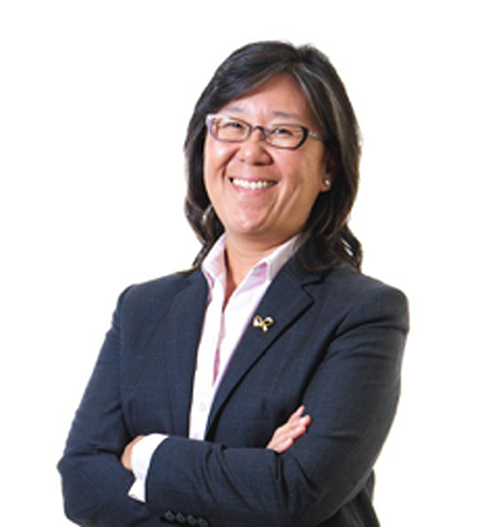 Her experience in the construction industry ranges from the procurement strategy stage through to dispute resolution. She is an active contributor to the Master Builders Association of Malaysia, is very involved in the drafting of the CIDB Form of Contract for Building Works, and also led the drafting on the intended new standard form of design and build contract promoted by the CIDB. Miss Tan and her firm prepared the Working Guide, Standard Forms and Checklists on the adjudication process under the Construction Industry Payment And Adjudication Act 2012 (CIPAA) published by the Construction Industry Development Board (CIDB) to assist parties to make and defend payment claims under CIPAA. 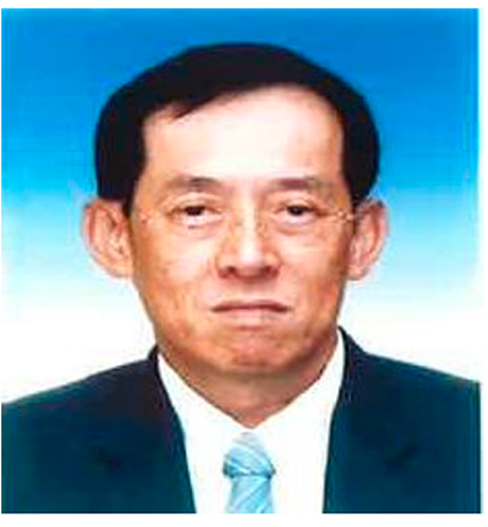 Mr.Tang Juang Yew is the Executive Director and shareholder of Al-Ambia Sdn Bhd (ASB), an established construction company or turnkey contractors (both local and foreign), with ISO status. ASB was incorporated on 3rd October 1981 and currently has a workforce of 127 employees and a labour force of 237 employees in various disciplines locally and internationally. Dato’ Quek Ngee Meng is the Vice President of Asian Institute of Alternative Dispute Resolution (AiADR) and Co-Chairman (Malaysia) of Malaysia-China Commercial Law Cooperation Committee. He is on the panel of international arbitral institutions of Asian International Arbitration Centre (AIAC) and Shanghai International Arbitration Centre (SIAC). Dato’ Quek is the Managing Partner of Messrs. Halim Hong & Quek. He graduated from the University of Adelaide with double bachelor’s degree in economics and Law. He obtained a master’s degree in laws from the National University of Singapore. He admitted as an advocate and solicitor of the High Court of Malaya in 1995. Dato’ Quek, having been in practice more than 20 years, has extensive legal experience in various areas notably cross border investment, corporate and commercial, real property and township development. Dato’ Quek also serves as a Director of Malaysia-China Business Council, Chairman of Silk Road Business Council Malaysia Committee and panel member of the Disciplinary Committee of the Advocate & Solicitor Disciplinary Board of Malaysian Bar. Ir Oon Chee Kheng graduated with a civil engineering degree from the University of New South Wales, Sydney, Australia and proceeded to obtain an LLB from the University of London and an MBA from Edinburgh Business School. He is an advocate and solicitor of the High Court in Malaya (call: 1995). He is also a Fellow of The Institution of Engineers, Malaysia (IEM), and a Fellow of both Chartered Institute of Arbitrators and Malaysian Institute of Arbitrators and is a registered professional engineer in the civil engineering discipline with the Board of Engineers, Malaysia. Ir Oon is the former Vice President of IEM as well as the past chairman of IEM Legal Advisory Panel, IEM Committee on Dispute Resolution Practice and IEM Committee on Engineering Contracts. Ir Oon has also served in different capacities in Construction Industry Development Board, Malaysia (CIDB). He is a member of the drafting team that produced the CIDB Standard Form of Contract for Building Works and CIDB Standard Method of Measurement for Civil Engineering Works. He was commissioned by IEM to produce the second edition of IEM Conditions of Contract for Works of Civil Engineering Construction which was published in 2011. Ir Oon is a registered construction industry mediator with CIDB and is a panel arbitrator and adjudicator registered with Asian International Arbitration Centre. He is also a former external legal consultant to the Government of Malaysia (Ministry of Works). He has published in Malayan Law Journal and other publications and is the co-author of the text Adjudication of Construction Payment Disputes in Malaysia (LexisNexis 2014). Founded in 1954 by the late Tan Sri Dato’ Low Yat, the Master Builders Association Malaysia (MBAM) plays an important role in the development and advancement of the construction industry. For the past few decades or so, it has represented Malaysia’s construction industry during various key phases on its path to success. Dedicated towards promoting and developing the construction industry in Malaysia, MBAM has evolved into a cohesive umbrella organisation. It has earned international recognition through its affiliations with the International Federation of Asian and Western Pacific Contractors Association (IFAWPCA) and the ASEAN Constructors Federation (ACF). It has also successfully hosted the 20th and 29th IFAWPCA Conventions in 1983 and 1998 respectively. 1998 proved to be an important milestone in MBAM history, in that the Registrar of Societies approved its new constitution and by-Laws, providing greater scope of participation in membership. This allowed the creation of Associate Members, offering membership to 140 entities directly and indirectly linked to the construction industry. This includes specialist sub-contractors, building material suppliers, manufacturers, trading companies and insurance brokers, further expanding MBAM’s already extensive network of members. It has 140 linkages, extensive experience and impressive local and international presence.